When the superstar diva of the past decade doesn’t want to play the hero’s mother on screen, she insists that she be reshaped into the most beautiful woman in the world…by any means. This is just one of the many odd situations which plastic surgeon Dr. Dhruv faces in Mumbai. He has dealt with tyrannical bosses and finicky patients while undergoing his training, during which he has also won over a stunning doctor as his life partner. 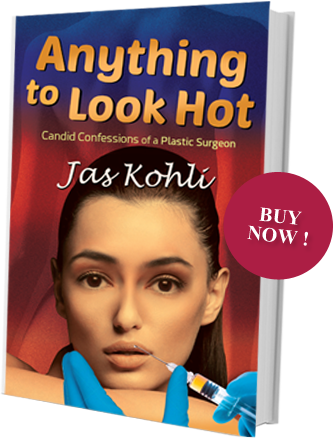 When Dr Jas Kohli started training in plastic surgery twenty years back, he hadn’t imagined that one day he would be exposing the secretive world of plastic surgeons and their clients. Apart from his interest in writing, he also enjoys astronomy, music and bird-watching. 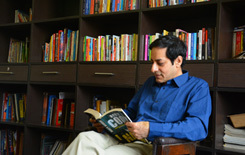 Through his writings, he aims to foster a stronger doctor-patient bond.